Kareem joined Watsi on May 8th, 2017. 23 other people also joined Watsi on that day! 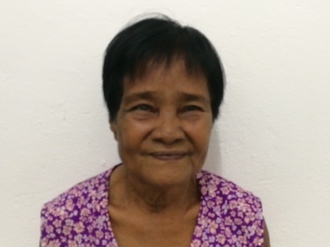 Kareem's most recent donation supported Kem, a woman from Cambodia, to fund cataract surgery. Kareem has funded healthcare for 5 patients in 5 countries. Kem is a rice farmer from Cambodia. She has one daughter, three sons, and ten grandchildren. She likes to listen to the monks pray on the radio. A year ago, Kem developed a cataract in each eye, causing her blurry vision, photophobia, and tearing. She has difficulty seeing things clearly, recognizing faces, and going anywhere outside. When Kem learned about our medical partner, Children's Surgical Centre, she traveled for seven hours seeking treatment. On October 15, doctors will perform a small incision cataract surgery and an intraocular lens implant in each eye. After recovery, she will be able to see clearly. Now, she needs help to fund this $398 procedure. She says, "I want see better so I can go outside well and I can recognize the faces of my loved ones." Lackson is a farmer from Malawi. He lives with his wife on their small farm, and they have four grown children and many grandchildren. Lackson raises livestock to supplement the family income, and in his free time he enjoys attending church with his family. Since June 2017, Lackson has been experiencing pain and urinary difficulty. These symptoms are caused by an enlarged prostate, a condition called benign prostatic hyperplasia. He needs to undergo a prostate resection surgery, a procedure in which surgeons will remove part of the enlarged gland. Our medical partner, World Altering Medicine, is requesting $733 to fund Lackson's surgery. 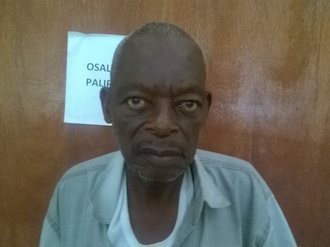 On April 3, he will undergo prostate surgery at Nkhoma Hospital, our medical partner's care center. The requested money pays for supplies, medications, and two weeks of hospital stay. Lackson was thrilled to learn his surgery would be funded and he is looking forward to going home pain-free. 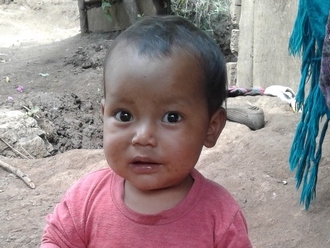 He says, "Thank you for this, Watsi." Jane is a a 20-year-old student from Kenya with hydrocephalus. Congenital hydrocephalus, which Jane has had since birth, is a buildup of cerebrospinal fluid in the brain that causes the skull to swell, resulting in severe mental and physical health problems. Growing up, Jane did not begin walking until she was six years old, and her speech development was even more delayed. Jane's family kept her confined to the house most of the time and, as a result, Jane began attending school much later. Despite this, Jane is now in the seventh grade and is working hard to one day become a doctor. Last August, Jane started losing touch with her senses. She would wander miles away from home, and she complained of a persistent headache. When our medical partner's care center, BethanyKids Kijabe Hospital, hosted a mobile clinic near Jane's village, her congenital hydrocephalus was finally confirmed. Our medical partner, African Mission Healthcare Foundation, is requesting $685 to cover the cost of Jane's operation, which is scheduled for June 26. This entails installing a shunt in her brain that will drain the excess fluid and release the pressure on her cranium. If left untreated, Jane's condition will likely cause permanent brain damage, mental disability, and loss of vision. "I feel sorry for my daughter and wish I did this for her early enough, but I have hope all will be well," Jane's mother says. Olivier is a three-year-old boy from Haiti. He lives with his mother, father, grandparents, and three older siblings. He likes to dress up and to go to church with his mother. Olivier was born with a cardiac condition called Tetralogy of Fallot, which means there is a hole between two chambers of his heart and a muscular blockage of one of his heart valves. This condition prevents oxygen from fully circulating through his body, leaving him weak and short of breath. Olivier will fly to the Cayman Islands to receive treatment. On January 27, he will undergo cardiac surgery. This $12,000 surgery is subsidized by Have a Heart Cayman Islands. Olivier's family also needs help to fund the costs of surgery prep. The $1,500 bill covers labs, medicines, and checkup and followup appointments. 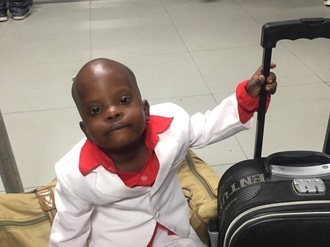 It also supports passport obtainment and the social workers from our medical partner, Haiti Cardiac Alliance, who will accompany Olivier's family overseas. His mother says, "We have been praying ever since we learned about Olivier's heart problem that one day he could have surgery. We would like to thank everyone who has helped answer our prayers!"